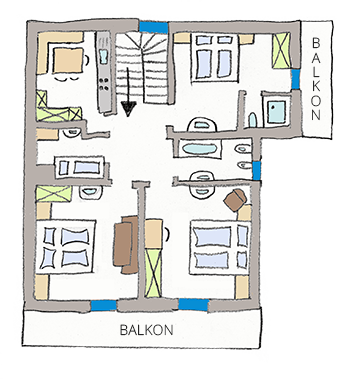 The Apartment "Juntlan", for 2 – 6 persons, is just the right choice for you, consisting of a fully equipped living kitchen with gas hob, oven, fridge-freezer, coffee machine, dishes, cutlery, cozy sitting area and TV. 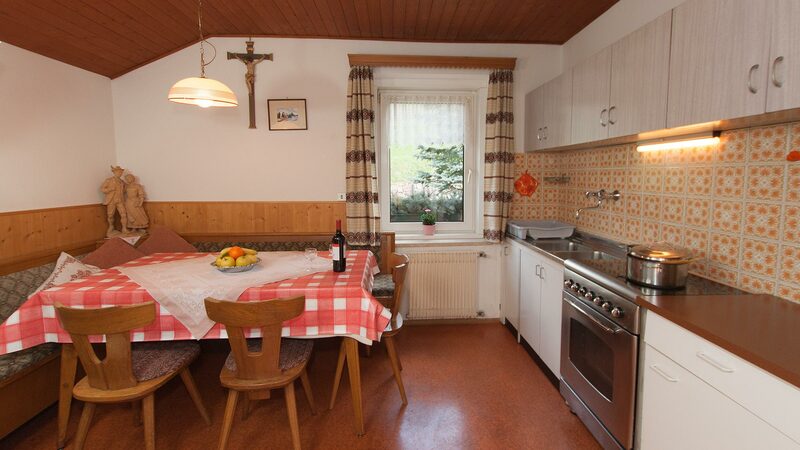 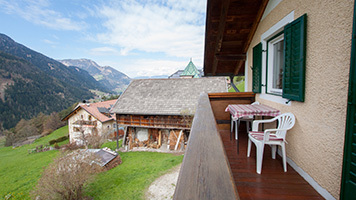 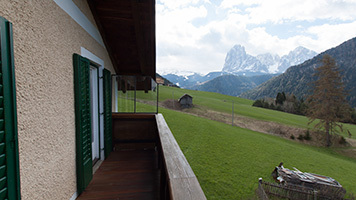 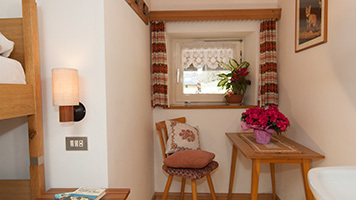 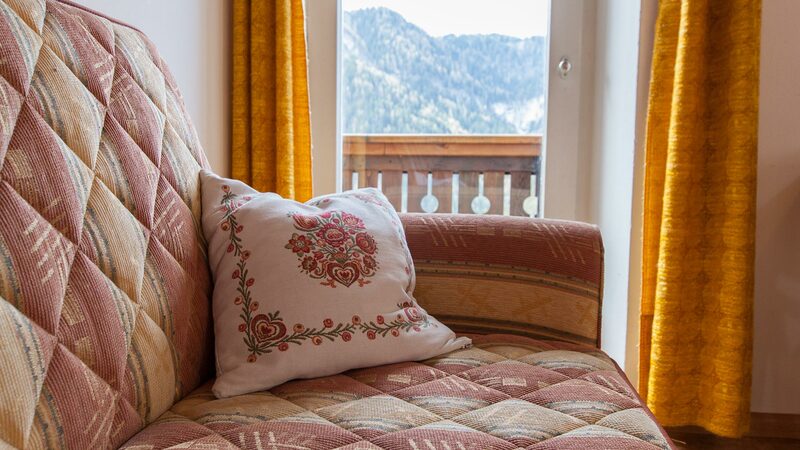 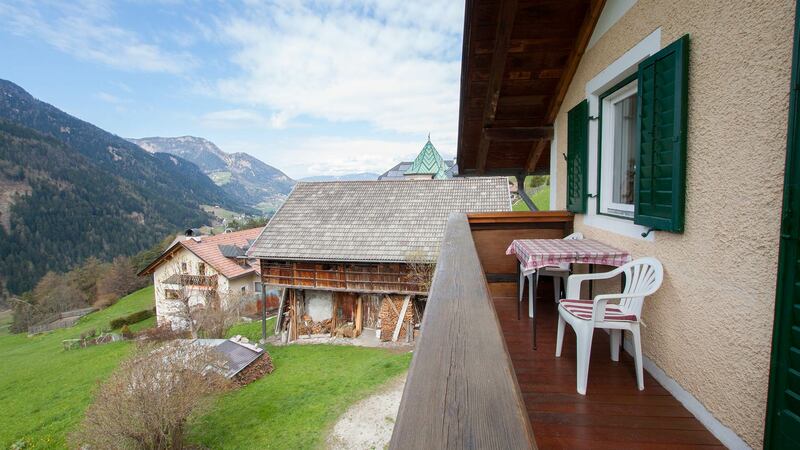 2 double bedrooms in solid wood with washbasin, balcony looking south towards the village with a wonderful view of the mountains Sella Group, Sassolungo, Alpe di Siusi and Passo Pinei. 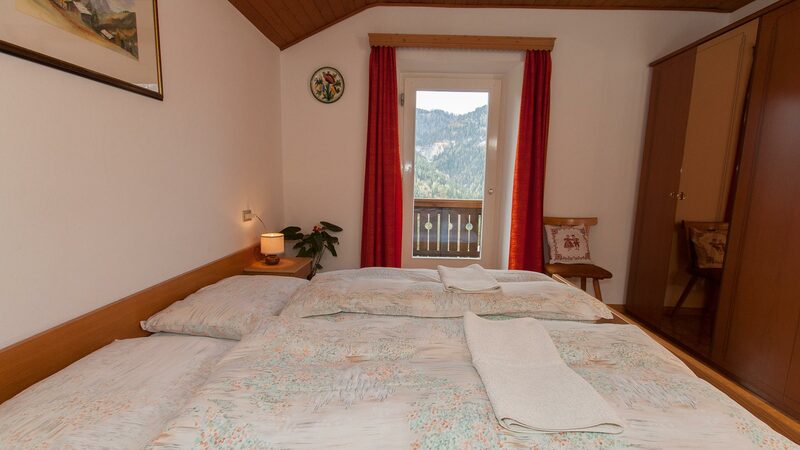 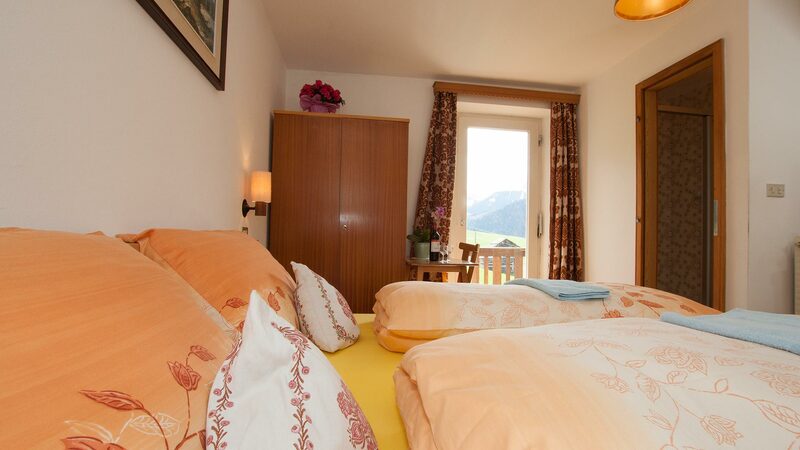 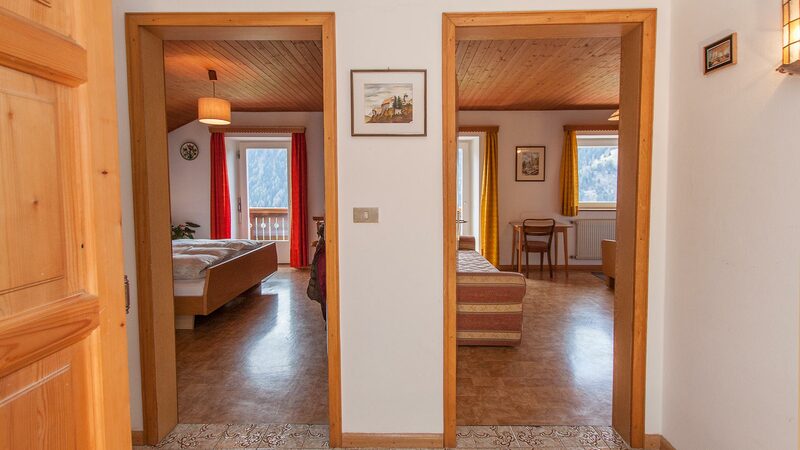 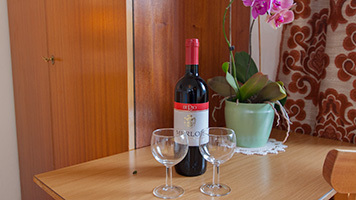 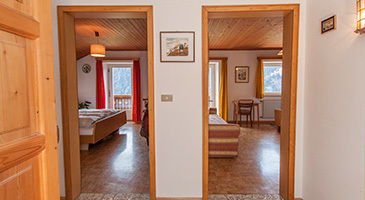 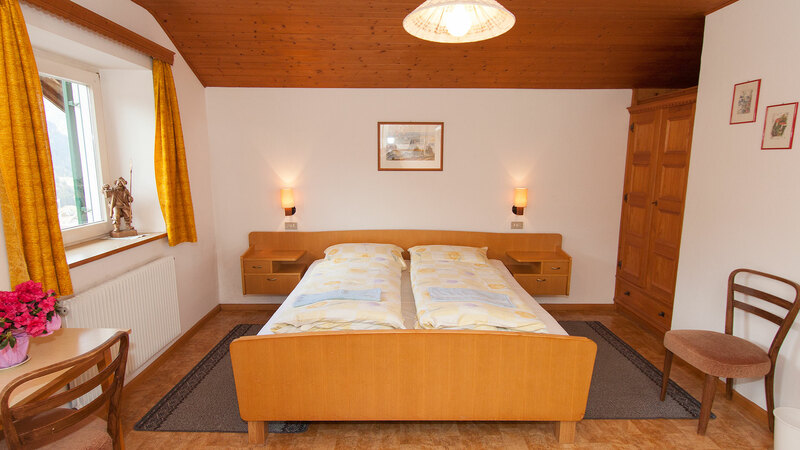 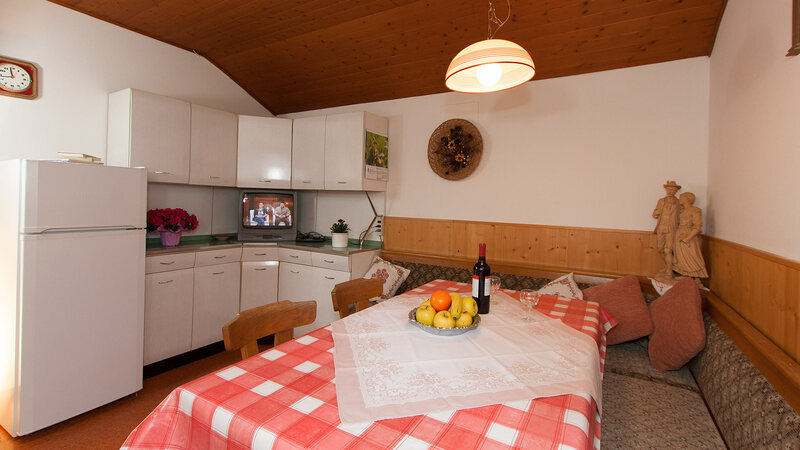 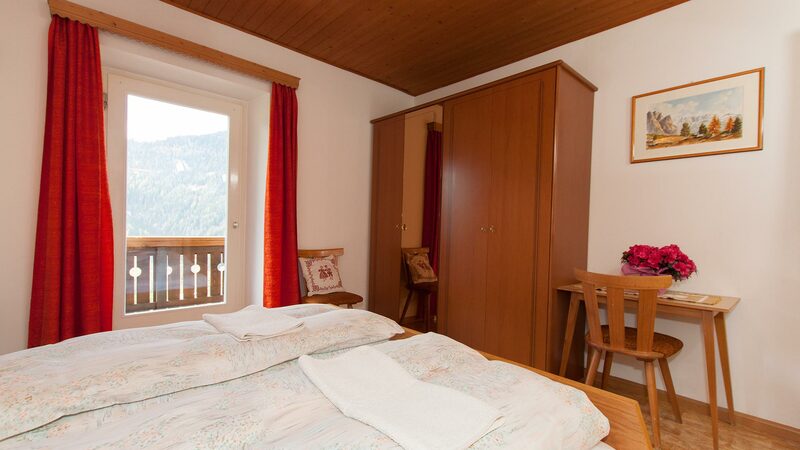 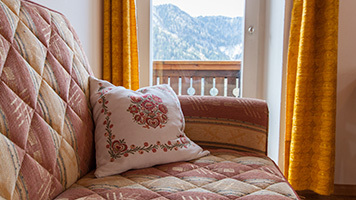 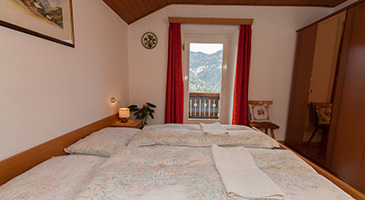 Double bedroom in solid wood with shower/WC, washbasin and east facing balcony with view of the mountains Sella and Sassolungo. 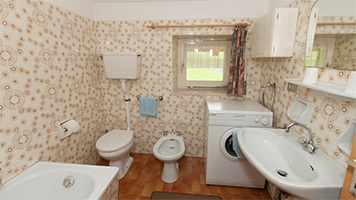 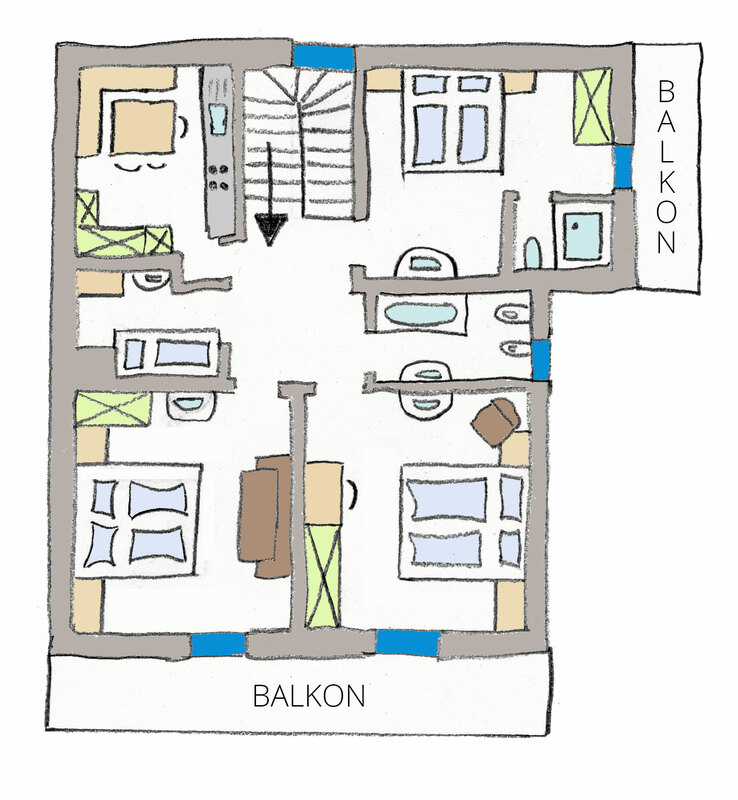 Bathroom with bathtub, WC, bidet, washbasin, hair dryer and washing machine. 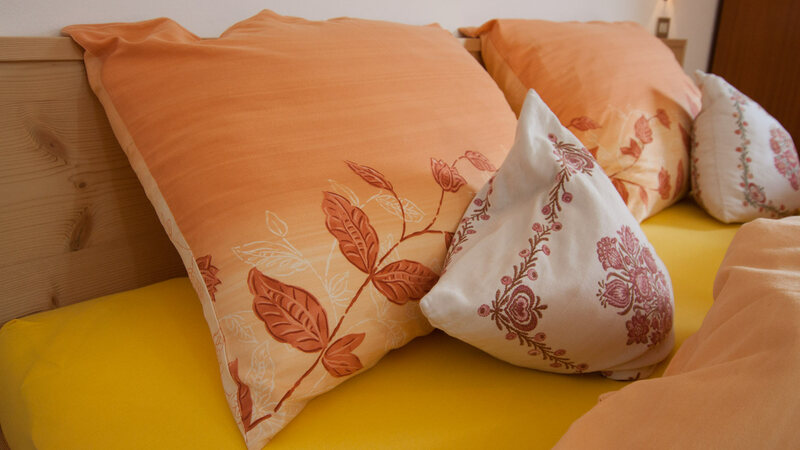 Bed linen and towels are of course available.